the geordie times online (newcastle united archive fanzine): THE TOON V AUGSBURG OF JAWMANY *** TOMORROW AFTERNOOON! THE TOON V AUGSBURG OF JAWMANY *** TOMORROW AFTERNOOON! 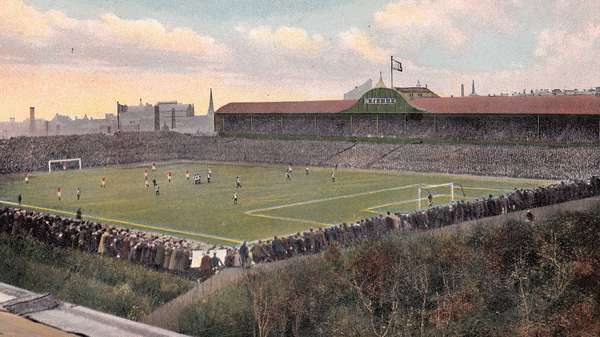 ST JAMES' PARK 110 YEARS AGO! We play wor one and anly forst team friendly game at SJP tomorrow v Jawman side Augsburg and we can anly hope that we put in a better performance than wor 2 games in Portugal! They play in the Bundesliga and finished 12th oot of a 18 club leegue last season! Aa meen, its hardly a high profile game against a very average side, to get yoo rushin' for the tornstiles, iz it! But we ARE a 'bizzare club' and nothin' suprizes us anymore! Match report and pix on Sunday! PS: Tickets for wor forst away games against 'The Taffy Noses' of Cardiff on Saturday 18th August @ '12:30 bells', are now on sale! We have been allocated just under 2,900 tickets which have been priced at £30 for big kids, £26 for zimmerframeites and £16 for sprogs!